Magic tricks can be great fun to learn, but they can also be expensive when you’re just starting out. While most card tricks can be done with a standard deck, other more complicated illusions require props. Before you get to that level, though, you need to refine your skills. In short, you need to practice. As with any new skill, this is going to take time. Fortunately, it’s the 21st century, and you have technology on your side. Can technology really help you to learn magic? What Technology Can You Use? Any device that has a display can be used to learn magic. Better still is a built-in camera. If you have a smart TV, a laptop (or PC with a camera in the display), a tablet or a smartphone, you have all you need to get started. Oh, and a deck of cards. Now, you’re probably thinking “Oh I get it, you’re telling me to watch videos on YouTube!” Well, yes and no. They’re certainly an option (we’ve listed some below), but the use of technology is really to help you hone your technique. Say you own a smart TV. If you don’t, smart-TV-style apps are available through other devices Save Money on a Smart TV with These More Affordable Options Save Money on a Smart TV with These More Affordable Options Read More . Specifically, you’re looking for the YouTube app. Watching a magic trick tutorial on a larger screen like this helps you see the intricacies of the tricks, something that’s difficult to get a read on with a small screen. Your tablet or laptop is next. Get portable. Take everything you need for the trick, and get to work learning it. You’ll probably need a table — and because you have a smaller screen, you’ll have room to practice the trick while you’re watching it. One of the most important aspects of learning magic is to perform the trick in front of a mirror. For years, this was the only way to see your trick from the point of view of your audience. That’s not the case anymore. However, I wouldn’t rule out keeping a mirror handy for this stage. While you’re still learning the trick, having a mirror can be useful. They’re easier to position than built-in cameras, after all! Have you noticed how each device mentioned is progressively smaller than the one before? It’s time to graduate to a smartphone. You should already know the trick well. Anytime you want to check the tutorial, just bring it up on your phone. The rest of the time, activate your phone’s camera. Position the device on the table in front of you, sitting upright with a DIY smartphone stand or a tripod. It’s time to forget the mirror, and film your attempts at the trick. After each run through, check the video. Look for the mistakes, but look for what you did right. Work on the trick using your smartphone. Most importantly, wherever you are, anytime you have a minute or two to yourself, you can practice the trick with your smartphone and the prop. Check the results of your video against the one you’re learning from. Once you’ve got it and feel ready to share your trick with your friends, go for it. 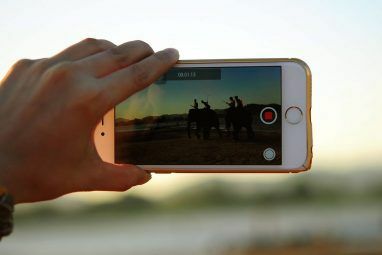 It might be worth positioning your phone to film that too, however, as working a trick in front of an audience can be challenging the first few times. So you’re all set with your tech-based magic trick teaching set up. But where should you start? Well, probably with card tricks. There are countless card trick tutorial videos on YouTube, just waiting for you to get started on your tabletop with a green felt cloth (optional) and your smartphone. 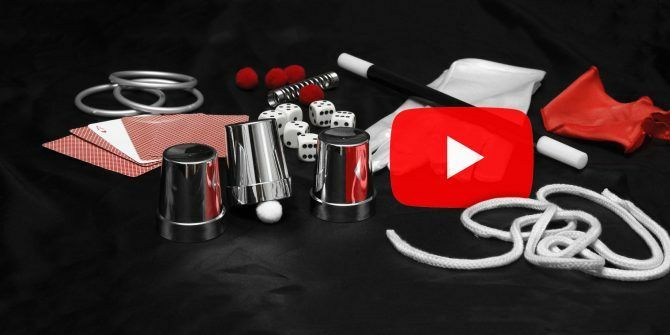 But if card tricks aren’t your thing, and buying tricks is out of your budget, we’ve selected five top videos you should look at. We’ve also taken care to select illusions to suit all creative abilities. Some props require glue and card; others, a single item from the toolbox. These videos show you how to create the tricks from scratch, using household materials and a few tools. Follow the instructions to make the prop, build a trick around it, and impress your friends and family! You’ve probably seen one of these. We’ll be honest, it isn’t strictly magic (but then again, what is? ), but it is an incredible, mind-bending illusion. Briefly, this magic wallet appears to move your money from one side to the other. You place a $10 bill behind the two perpendicular straps, close the wallet… and reopen it to reveal the bill behind the crossed straps. It’s utterly baffling for the observer, and it’s incredibly easy to make with just a few pieces of card. Use paper or ribbon for the straps (although some variations use an elasticated fabric). With the right preparation, you should be able to make your own magic wallet in just a few minutes. Note that a magic wallet should not be used to carry money. If you’re looking for a new wallet, make sure it has RFID protection What Is an RFID-Blocking Wallet? (And Which Should You Buy?) What Is an RFID-Blocking Wallet? (And Which Should You Buy?) If you have cards, passports, or devices with RFID chips, then an RFID-blocking wallet could be important for keeping your data safe. Read More . Here’s a trick that needs very little preparation. You can quickly set it up at home, work, or in the pub. The secret here is to make sure you have a piece of suitable rubber. 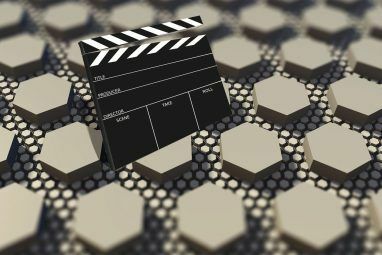 The material suggested in the video, a rectangle or square of latex, can be purchased online. You need the latex square rather than, say, a balloon, as you need something that will grip the coin. Other than that, a glass, an elastic band, and a second coin are all you’ll need. Meanwhile, if you’re a fan of coin tricks, this demonstration on how to pass a coin through a solid glass tumbler will prove particularly interesting. Speaking of money, wouldn’t it be great if you could simply turn a standard piece of paper into hard cash? This magic money printing machine requires just a few bits of wood, some narrow tubes, and a strip of black plastic. The mechanism is controlled by a length of wire that you’ll need to bend into shape. As you can see, the trick is straightforward, but such a great illusion! It’s just a shame there’s no way to produce more notes — or, for that matter, make a real magic money printing machine. Admittedly, this isn’t a trick you can easily take out of your pocket, and it would probably be more impressive with a small audience. Perhaps take it out to dinner, or to the pub? Just keep the secret to yourself. 4. Bend a Coin With Your Bare Hands! Fancy being able to bend a coin with your fingers? Ace illusionist Rich Ferguson has a great trick for you. By coincidence, it’s another money-based trick, and with the right preparation (which you can do at home), you’ll have jaws dropping everywhere. Of course, there’s no real coin bending here — well, not in front of an audience. Rather, the bending takes place at home, perhaps in your shed. Here, you’ll need a pair of wrenches, or one wrench and a workshop vice, to bend the coin in the right place. As long as you’re familiar with basic DIY Learn Basic DIY Skills Online With YouTube Learn Basic DIY Skills Online With YouTube While DIY falls in and out of fashion depending on the state of the economy, individual styles, and the availability of professionals and materials, there will always be someone, somewhere keen to learn basic DIY... Read More , this should be simple to do. Naturally, you’ll need an un-bent coin too. For the best results, it’s a good idea to use a pair of identical coins, with the same design and from the same year. Can you convince your friends you have bent a coin? Yes, you can! Finally, it’s back to a card-based piece of creativity. If you’ve ever seen a magician (or a puppet?) doing a trick in which color needs to be added to a picture, then this video explains just how it works. You’ll need to build up your own story for the trick itself; this video just shows you how to make the prop. Unsurprisingly, it’s incredible simple, but will require a few colored Sharpies, a sheet of cellophane, and a few pieces of card, as well as glue. Get the construction right, however, and you’ll be wowing your audience with magic! A typical routine for this trick might be the need to color in the image using a “magic paint brush.” It’s a popular trick at children’s parties. It’s always good to keep your eye on the little ones or else they’ll be off bypassing your parental controls 7 Ways Your Children Might Bypass Parental Control Software 7 Ways Your Children Might Bypass Parental Control Software Just because you've installed a safety net in parental control software doesn't mean your children won't find a way to navigate through it. Here's how they'll do it! Read More or something. I bet you never even considered using Smart TV, tablet, or smartphone to learn magic. And if you did, how long did it take you to start filming yourself practicing until you mastered the trick? Using this technique, you can immediately get an idea of how good your technique is. Watching back, if you tricked yourself, then you’ll be ready to perform the trick for friends (or strangers!). Spotted some flaws in the trick? Then keep practicing, filming every attempt, until you get it right. 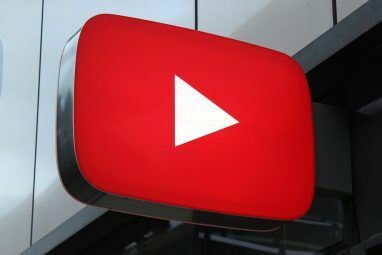 The five YouTube videos we shared will help you get started. What do you think? Could this technique work for you? Have you used technology to learn magic tricks? Tell us about it in the comments box. And if you’re looking for more tricks, try these great magic sites Teach Yourself Amazing Magic Secrets With These Sites Teach Yourself Amazing Magic Secrets With These Sites When I was a young child I loved watching magic being performed on television. It didn't matter what kind of tricks they were, or who was doing them, just that something mysterious, unexplainable, and, well,... Read More .